The problems that people have have nothing to do with the EU and everything to do with the idiots who proposed and supported the ref. I'll be in Ilfracombe, Beer or Sidmouth this Saturday doing it all again, and the weekend after. I've got some AL coming up and I'm going to spend some time at SODEM outside Parliament rather than reacting to people with empty arguments, have fun, I will! Heh, it's like a school photo, can you see me? Stooo wrote: Heh, it's like a school photo, can you see me? I looked at both pictures you put up. And all I see are Gammons and no minorities? Could be wrong both arms up? 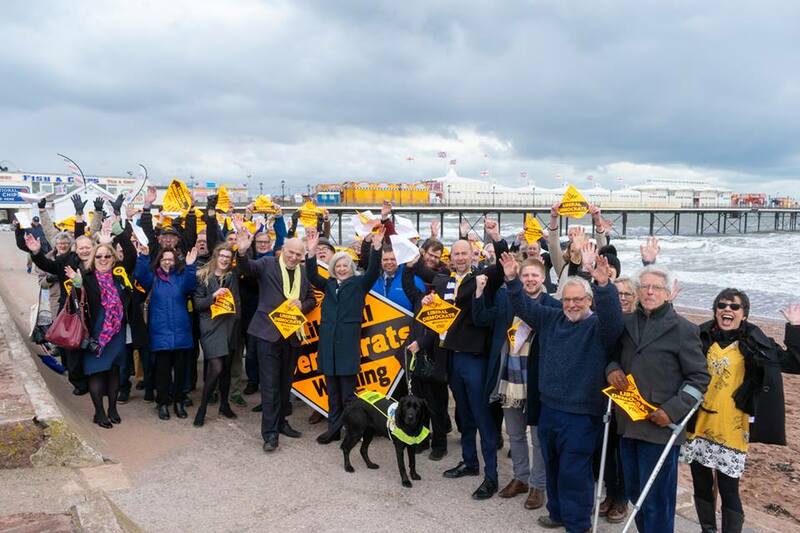 Back row, to the right, holding the LibDem sign up to hide your face? ... or the guy behind the lady in the bright blue puffa coat, flashing his Hollywood smile? Vam wrote: ... or the guy behind the lady in the bright blue puffa coat, flashing his Hollywood smile? Last edited by Vam on Tue Apr 16, 2019 7:50 pm, edited 1 time in total. More gammons than your latest march, bless. You should have said! Gotta be in it to win it, right?